Fali S. Nariman, distinguished jurist, senior advocate and lead lawyer of those opposing the constitution of the National Judicial Appointments Commission (NJAC) which will replace the collegium system of appointing superior court judges, on Thursday scathingly accused the government of merely copying a Congress bill on the NJAC instead of using its own brains. "This government copied the Congress bill. If they had used their head, the material provisions (of the NJAC) would have been much better," Nariman said arguing against the NJAC on behalf of the SC Advocates on Record Association (SCAORA), before a five-judge bench comprising of Justices JS Khehar, Jasti Chelameswar, Madan B Lokur, Kurian Joseph and Adarsh Kumar Goel. Vesting the power of appointing judges on the executive is inappropriate and arbitrary, Nariman told the Supreme Court bench. On the inclusion of lay people in the appointments procedure, he said judges should be selected on legal merit and not political merit. It would be absurd to assume that a non-judicial person can decide on the suitability of a candidate for the post of a judge, Nariman argued, cautioning about the risk that such appointments may be based on considerations other than legal merit and ability. Mr. Nariman said judges' appointment was at the heart of judicial independence and no executive interference could be allowed in this matter. "National Judicial Appointments Commission is complete anathema to judicial independence as the proposal on judges' appointments given by the CJI and two senior-most judges of the Supreme Court could be rejected even by two eminent persons who could come together to veto it," he added. Mr. Nariman submitted that the Constitution provided that the President (read executive) would appoint judges to the Supreme Court and high courts in consultation with the CJI, but the then law minister A K Sen had told Parliament that the CJI knew who was best suited for a judge's post and his recommendations needed to be honoured. "That was real judicial independence. The executive always honoured the CJI's recommendation despite the constitutional provision allowing it to appoint judges in consultation with the CJI. They gave primacy to the CJI's view on judges' appointment," he said. Attorney general Mukul Rohatgi submitted earlier that judges, who will form a major block in the six-member NJAC, will have the primacy, if any, as they can always block a potentially bad appointment. Mr. Rohatgi had said that only the right to insist on appointments had been taken away and this does not infringe on the basic structure of the constitution. Rejecting the arguments of attorney-general Mukul Rohatgi that the manner in which judges are appointed to the higher judiciary was not a basic structure of the Constitution and that the NJAC did not violate the independence of judiciary, Mr Nariman said the process of appointments was the core of aspect of independence of judiciary. By substituting the system, the primacy of the CJI in initiating an appointment had been taken away. Mr Nariman pointed out that even if three judges in the NJAC wanted to appoint an advocate as a judge, the power could no longer be exercised unless they secure an agreement from a fourth non-judge member in the NJAC. He said the Union law minister along with one or two eminent persons could always veto a recommendation made by the CJI and two other judges. This would show that the CJI’s right to appoint a person had been taken away. When Justice Madan Lokur wanted to know whether Mr Nariman agreed with the A-G that the “right to insist” an appointment vested in the collegium had been taken away by the NJAC, the counsel said he agreed. But Justice Lokur said, “What has been taken away is not the `right to insist’ but the `right of the executive to reject’ a candidate, as if the collegium insisted on a name, the executive was bound to accept that recommendation. Nariman said the eminent persons to be nominated to the NJAC should not be given voting rights. “You consult the eminent persons. Make them consultees and do not give them voting rights,” he said, adding that at best, they can be made part of the “decision-making process and not to the decision-taking process”. Nariman though couched his support for the collegium system by stressing on the need to reform it to ensure that it does not remain a "closed shop" for the public and the media. Should the court strike down the NJAC, it should also address issues such as broadening the inputs for the process and also make the information public. He also urged the Apex Court to jettison a provision which currently prevents the prosecution of any judge after he has retired for any malfeasance during office. "This gives a very bad impression (to the public). "How do you remedy the system? You have a few bad eggs. You have to put the fear of God and law in them," he said, urging the court to do away with this provision of law. 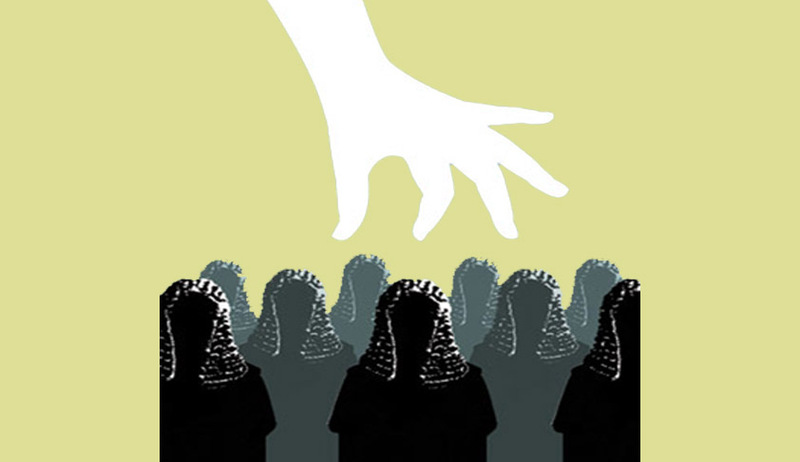 "Can a judge be totally immune? Why remove this fear? If you are an honest and honourable judge would you bother?" Attorney general Mukul Rohatgi brought to the court records of judges' appointment to high courts from the Nehruvian era and told a five-judge bench headed by Justice J S Khehar that the proposal to appoint a person as High Court (HC) judge was initiated both by the Chief Justice of the HC and the chief minister of the state. The Chief Justice of the HC and the CM used to discuss the proposed names, arrive at a consensus and then write to the CJI for recommending it to the President for appointment. Before the President approved and signed the appointment, the PM and later the PMO used to clear the name, Rohatgi said. "It appears from records that in general, there was never a dissent on the names proposed either by the CM or the chief justice of the HC," he said. Justice Madan Lokur said that in the first eight years, from 1950 to 1958, over 200 judges were appointed to high courts and there were only seven instances where there was some disagreement on the names. The two bills—the Constitution (121st Amendment) Bill, 2014, and the National Judicial Appointments Commission Bill, 2014—were passed by Parliament in August 2014. The president signed them into law on 31 December after more than half the states ratified the constitutional amendment. Thereafter, several petitions challenging the two laws were filed before the Supreme Court which are all being presently heard by a Bench of 5 judges headed by Justice J S Khehar. Read Nariman's written submissions here.